Elizabeth George will graduate from the University of Houston Law Center in May. Feb. 11, 2019 — Being raised in the Texas Hill Country and taking an AP Environmental Science class in high school instilled third-year University of Houston Law Center student Elizabeth George with a sense of obligation to defend nature and everything in it. Her passion to protect led George to pursuing her legal education with an emphasis in environmental law. “I’ve always known that I am the kind of person who needs to dedicate my life to something bigger than myself in order to be fulfilled, and after taking that class, I knew what that something would be,” George said. George interned with the Harris County District Attorney's Office Environmental Crimes Division and the Public Utility Commission of Texas’ Oversight & Enforcement Division during the summer of 2018. Her time with Harris County District Attorney’s Office Environmental Crimes Division allowed George to work personally with several prosecutors and taught her about the workings of the criminal justice system. “My favorite part of the internship was working on the DA’s criminal case against the chemical manufacturer Arkema, Inc., whose plant in Crosby released toxic chemicals during Hurricane Harvey,” she said. 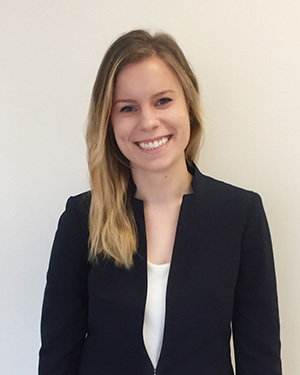 While interning for the Public Utility Commission of Texas, George was able to strengthen her legal knowledge on environmental and energy issues with which she was previously unfamiliar. George’s previous experiences include stints with the Bayou Land Conservancy, the Houston Museum of Natural Science, and internships with Judge Kathleen Hamilton, of the 359th Criminal District Court, and Judge Mike Engelhart, ’95, of the 151st Civil District Court. She has also served as a research assistant to Professor Victor Flatt. George realized the most impactful way she could protect the environment was from a legal standpoint. She said the Law Center’s selection of environmental courses helped her decision-making process when choosing a law school. “Law school felt like a natural addition to my undergrad education, and I definitely believe the tools I am gaining at the Law Center will help me fulfill my goal of doing whatever I can to make the world a cleaner and more environmentally friendly place,” George said. George understands the importance of environmental law and recognizes the role attorneys play in it. “Anthropogenic climate change is arguably the single most important problem facing our planet,” George said. “The implications of climate change are vast and largely unknown.